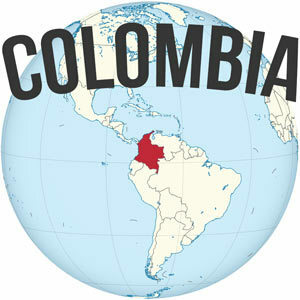 Colombia is one of the world’s largest and most renowned coffee producing regions on the planet. Though some may not realize that this coffee is predominately destined for export to foreign markets and is not avidly consumed locally. Indeed, most Colombians drink what they call tinto — A small, espresso size cup of instant coffee with a few sugar packets mixed in for good measure. Virtually everyone sells tinto, from the restaurants and bakeries to the little corner kiosk selling newspapers and cigarettes. It is certainly not the best coffee you’ll have. The coffee culture in terms of production is strong and vibrant. The coffee consumption however was not. 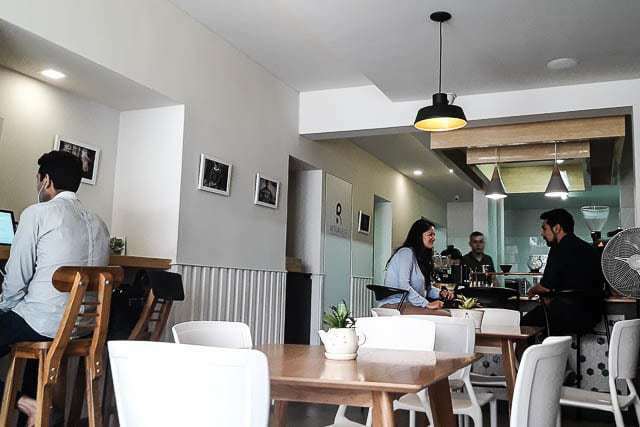 That is beginning to change though — more and more coffee shops are popping up in both Poblado and Laureles (Medellin’s two most coffee-centric neighborhoods). 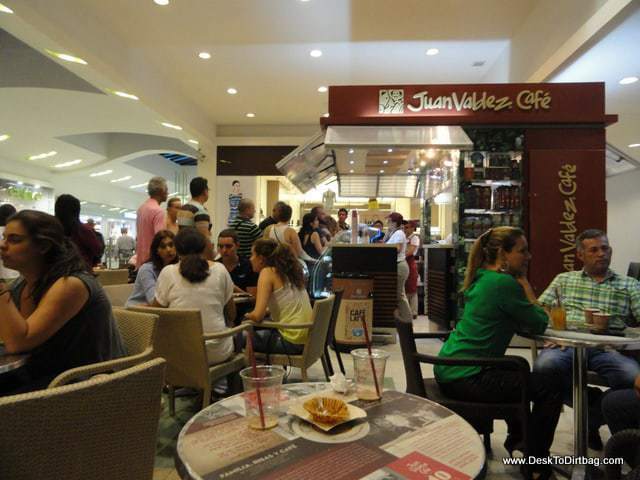 Most famously there is the Juan Valdez chain (the Starbucks of Colombia) in most every major city and shopping mall throughout town. Juan Valdez in El Tesoro shopping mall. They serve a decent cup of coffee to be sure, and are one of the most reliable places to find whole beans (or their brand of beans at a supermarket). 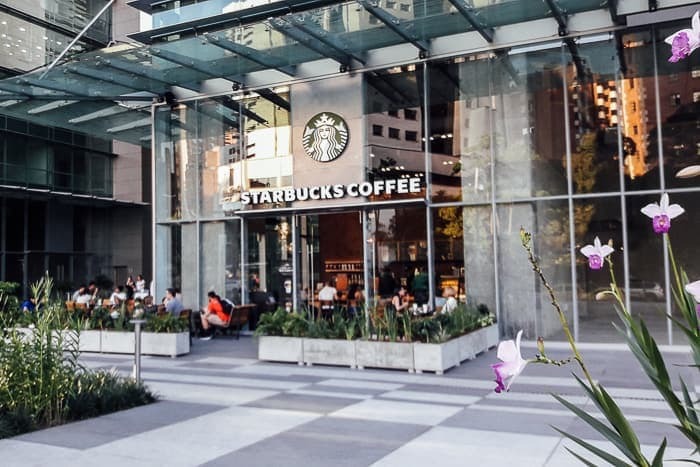 Interestingly, Starbucks is also beginning to make inroads in Medellin with a number of stores open now in Poblado and one in Laureles. In the Laureles neighborhood in Medellin, where I live, there are now at least a dozen little independent cafes that serve up killer coffee. In Poblado, the more wealthy, developed, and Western part of the city, there are a number of them as well. I’m originally from Seattle, so I’m quite familiar with good coffee and what makes a vibrant coffee scene, and while Medellin certainly hasn’t reached anything like Seattle in terms of coffee culture, it’s certainly on the upswing. And if you don’t really know much about coffee, either in terms of production or consumption, then you’ll find no better country for a crash course in coffee and Colombian coffee culture than one of the many coffee tours offered in the Coffee Triangle, or even short coffee cuppings or tastings which are available in any big city in Colombia. I took an excellent free cupping class down at Cafe Otraparte in Envigado. After more than four years of living in or traveling to this city, I’ve watched the coffee culture take off, and I’ve visited virtually every ‘real’ coffee shop in the city — so I wanted to put together my own take on the top coffee shops in Medellin. 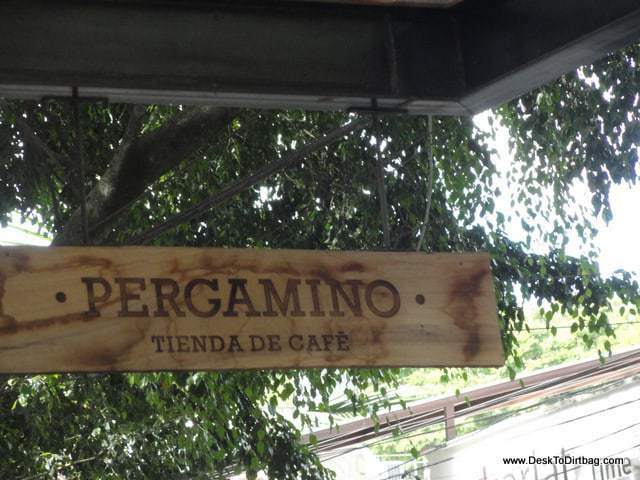 Poblado – Pergamino Cafe is probably the best known independent coffee shop here in Medellin. And for good reason. This is a true coffee lover’s paradise. 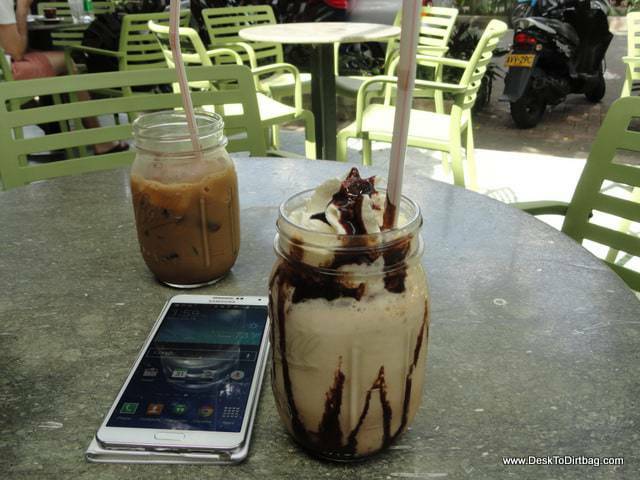 Solid coffee drinks, a nice ambiance both indoors and out. 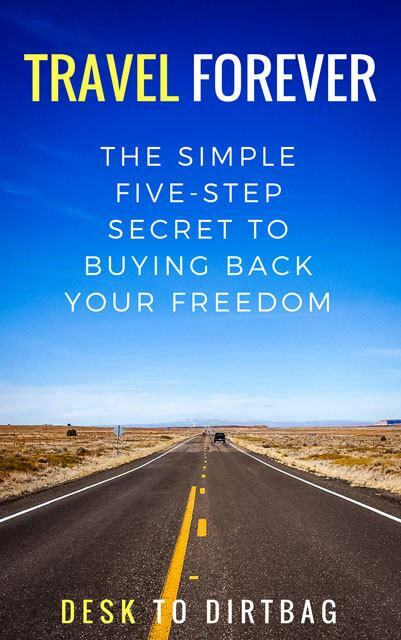 And a great vibe to just sit back with a drink and your laptop for a few hours of work. The also sell Aeropress, Chemex, and other cool coffee makers that are relatively hard to come by in Colombia. For me, the biggest downside to Pergamino is that it is located in Poblado. Frankly, I don’t make it out there too often. 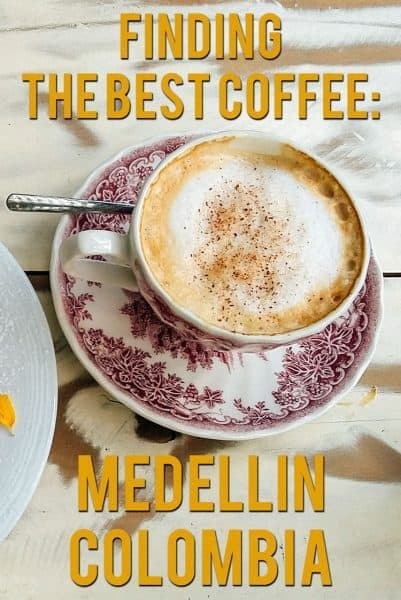 Also, the coffee isn’t the best, by any means, but it is good and is a good place to start your journey as we search for the best coffee in Medellin. 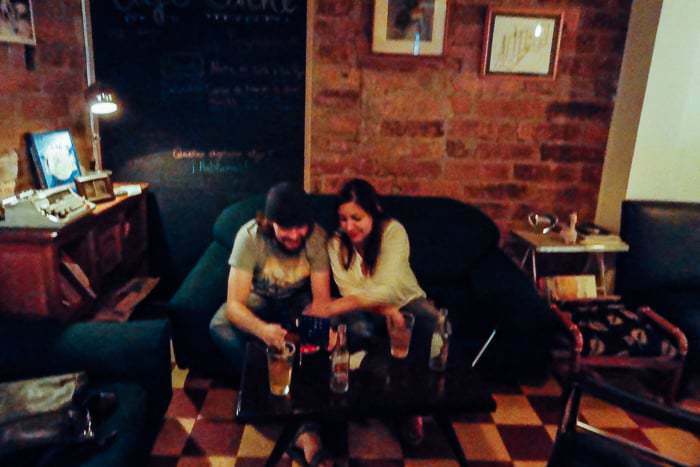 Laureles – Cafe Zeppelin, the original in Laureles, has one of the coolest ambiances or environment of all the shops. Its got almost all the things I look for: real couches to hang out on, great outdoor seating on the porch, and as a bonus it has an amazing open air/covered patio area on the interior. They further enhance their ambiance and appeal with cool, quirky stuff like a mannequin lamp who’s hand has been replaced by a light bulb and a cool aquarium with goldfish set inside an old school television set. They have a good selection of coffee and food, ranging from menu of the day options to platters of meat and cheese. Since it is in an old Colombian house, there aren’t a lot of power outlets for laptop sessions though — it’s best as a social hangout spot. Like Pergamino, they’ve got an above average cup of coffee for Medellin but we still aren’t into the “best” yet. 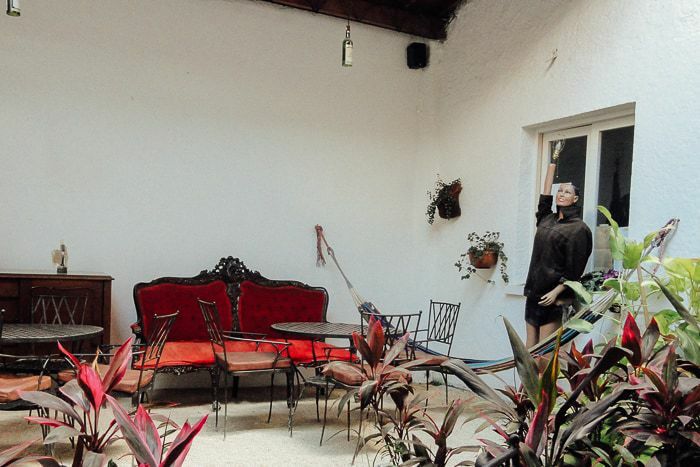 Envigado – Housed on the grounds of the Casa Museo Otraparte – a modest museum dedicated to a local writer-philosopher – I would say Cafe de Otraparte is the most serene and beautiful of the cafes in Medellin. The shop is housed on the well-manicured grounds of the museum, hidden from the hustle of Avenida Poblado, among the plants and water features. They’ve got great coffee here, excellent plates of food, and a beautiful setting. In the evening the Cafe is a popular venue for many interesting cultural events and activities. They are a frequent setting for coffee cupping events where you can learn about the history of coffee in Colombia. Overall, a true gem in the city. 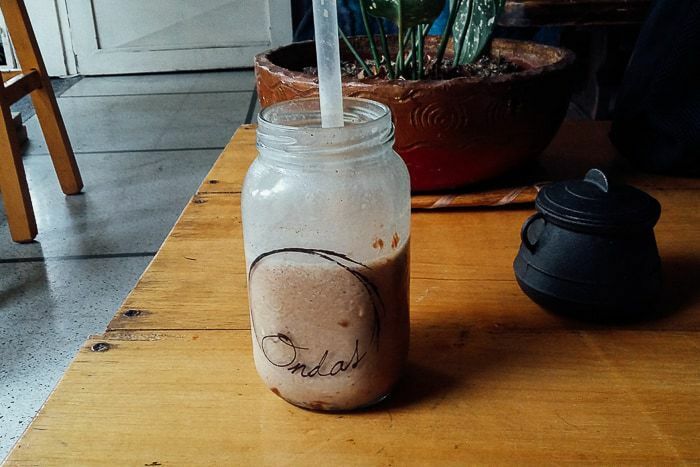 Floresta – If Ondas was located in Laureles, it would surely be a regular visit for me. It’s got a great setting with cool communal workspaces, little couches, outdoor seating, and it’s got great coffee. Ondas is also the site of a hostel upstairs, so it is reliably a very popular place among the gringo crowd, if you miss hearing English in this part of town. Laureles – Cafe Cliche is a fairly spacious, French-owned cafe, that has quickly emerged as one of my favorite coffee shops in the city. 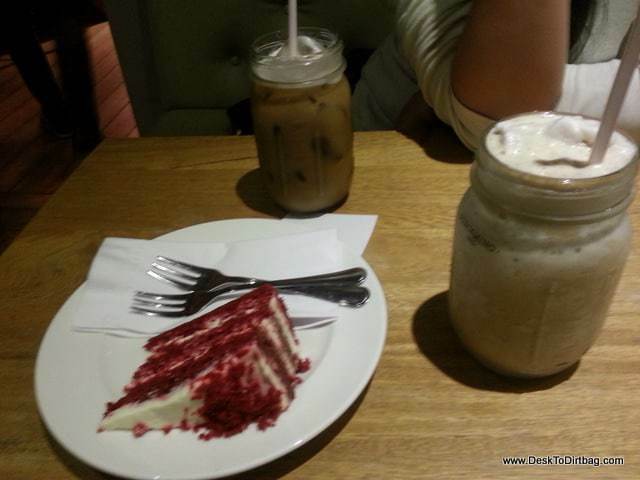 They serve up a pretty good cup of coffee, have some good food on offer, ample seating (with a mix of tables for working, or couches for relaxing), and interesting and quirky decor. The coffee shop is exceptionally dark though, and they occasionally have some bizarre events like zumba classes with pounding music in the middle of the day — so be sure to check their event calendar before going if you hope to get some work done. 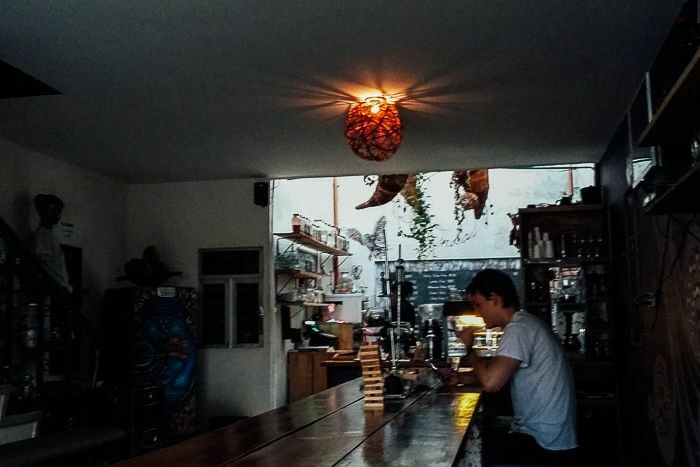 Laureles – Café Revolución is a little coffee shop that is located near the Primer Parque de Laureles. You probably wouldn’t stumble across it unless you went out specifically looking for it. Cafe Revolucion was truly part of the coffee revolution here in Medellin, one of the original indy coffee shops that opened in the neighborhood. 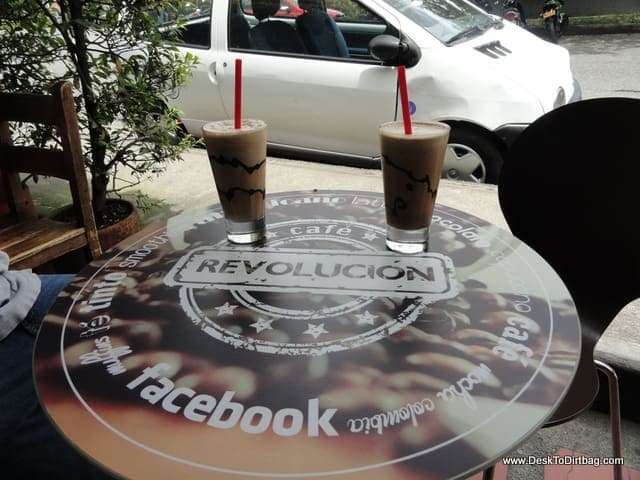 Cafe Revolucion in Laureles–the newcomer in the local coffee scene. Not only that, but they’ve even managed to expand into a second location on the other side of Laureles, close to Viva Laureles. They really do make amazing coffee — both hot and cold — and have found great sources of local beans. They also serve up some delicious panini sandwiches, baked goods, and smoothies. The only bad thing about Cafe Revolucion might be the small size, which lacks the ambiance and personal space at some of the larger cafes. 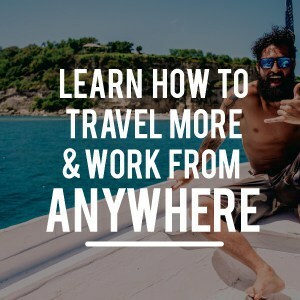 This coffee shop was started by a pair of expats, and if you enjoy being surrounded by foreigners in Laureles, this is definitely ground zero for the digital nomad culture. 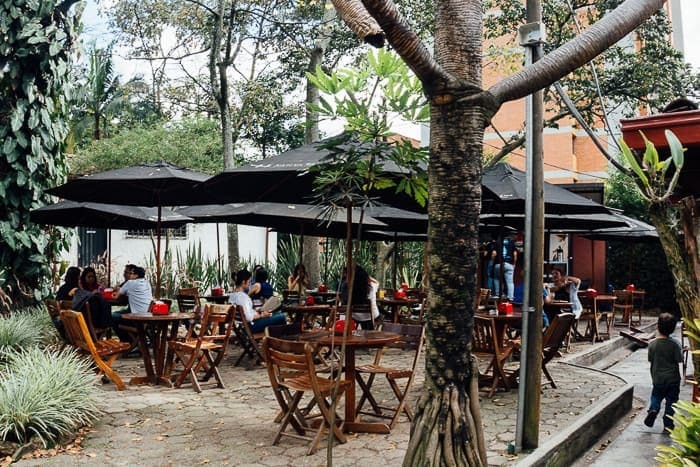 Various Locations – Al Alma has quickly emerged as one of Medellin’s top local chains, with locations ranging from Provenza, Manila, Ciudad del Rio and more in the general Poblado vicinity. 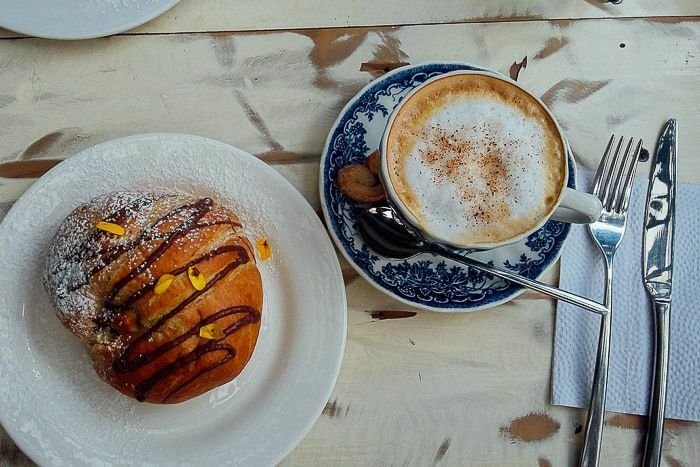 Al Alma is particularly popular for its brunch offerings every single day of the week, and its freshly roasted coffee. 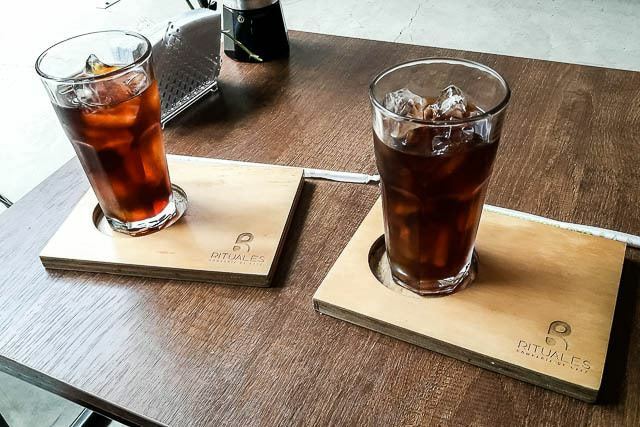 They serve up all the typical stuff, plus they’ve got Chemex. This is quite good coffee and thankfully it is available in many different neighborhoods throughout town. Rituales is an amazing gem in the neighborhood, a small little locally owned place with people who are passionate about coffee. Indeed, it’s a place that has become popular among the small but thriving barista scene here in Medellin. 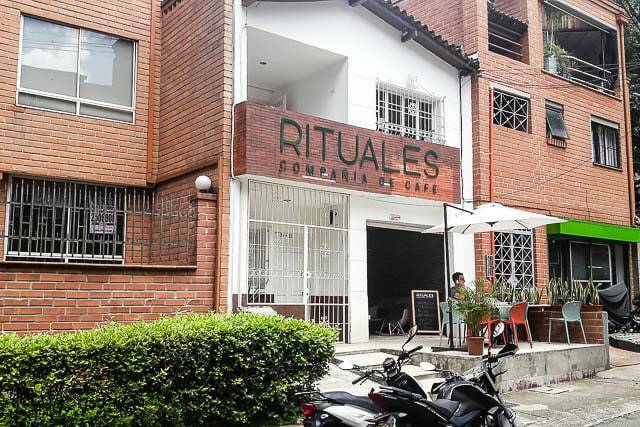 Quite incredibly, Rituales focuses on truly local coffee, and I don’t mean local like from Colombia, but local from Medellin. They serve up coffee from the La Sierra area on the outskirts of town, and the coffee here actually won a blind taste-testing for the quality served. While the space is small, the coffee is among the best and served by a group passionate about Colombian coffee. It’s a must visit. The last place I’ll recommend for finding a killer cup of coffee and avoiding the instant brew would be, surprise, to just make it home — which is still my favorite place. I continue to use my Aeropress and would consider it to be the best travel coffee maker out there. It makes an exceptional cup of coffee, just how I like it, whether I am in my apartment in Medellin or camped at 13,000 feet in the Andes. Couple that with a handheld burr grinder and you can have an amazingly fresh cup of coffee. Yes, I actually brought my Aeropress and grinder with me traveling across Latin America. 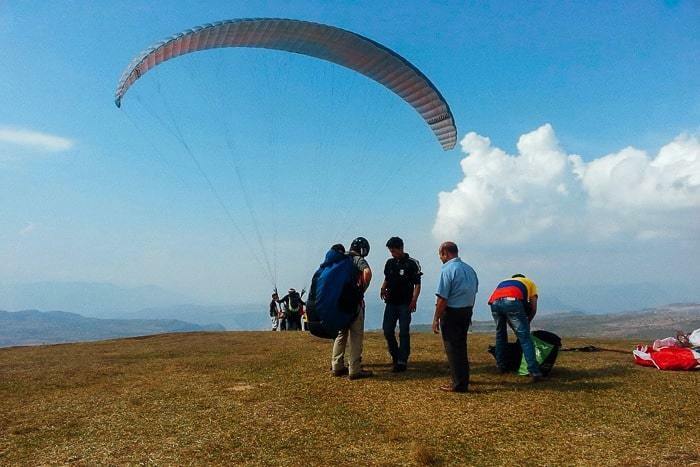 Traveling to Medellin on your next trip? Book the perfect room on Booking.com today or take a look at the best hostels in Medellin. 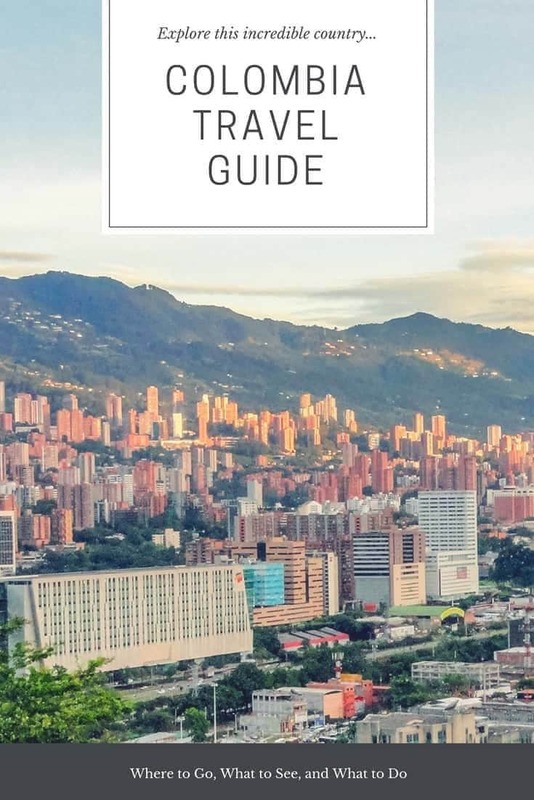 And don’t miss my definitive guide of things to see and do in Medellin. I’ve had pour overs & espresso in 319 places in the US and its rare to find a city that offers such a variety of high quality coffe in such a close proximity. First off, I like your reply to the Italian Coffee “know it all”. I am from Alaska, and have spent a lot of time in the Pacific Northwest, and whether it is coffee or beer or anything you love, people there do their best to perfect it. The original Starbucks movement there was amazing, and like most amazing things, it eventually gets consumed and transformed by mainstream mega companies and caters to making mass profit. Anyway, where would you recommend buying /finding an assortment of whole bean coffee to take back home (I live in Medellin now, but travel to the US for work and everybody there wants great coffee)? I find that Carulla has lots of coffee, but I would rather go to a small vendor who basically just sells a variety of great coffee. Getting a variety of different types of beans in one locale might be a bit tricky, but my recs would be to check out Cafe Revolution, Pergamino, or Rituales, in terms of buying some high quality beans. They might only have one or two varieties on hand though, so keep that in mind. If you go to Laureles you can stop at one or two coffee shops to check out what they’ve got on hand pretty easily. Good luck! 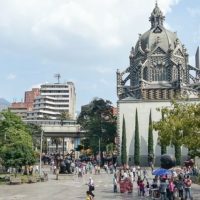 I’m from Medellin and a coffee lover, and I agree with you, Ryan, you named the best places to have a good cup in Medellin. 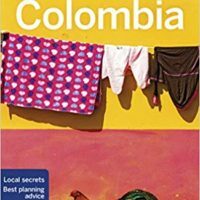 I am disappointed that those who visit Colombia usually take “tinto”, this is not real Colombian coffee, they must go to the places you mentioned. Woww, awesome share. Medellin’s Coffee Shops looks exciting. I love tasting different types of coffee brands. I have my own coffee roaster at my place and I make delicious coffee for my family and friends. I would love to taste your coffee. Keep sharing such posts. Is this a joke? You are from Seattle and therefore you know about coffee?? America gave rise to Starbucks! and never apologized for that. To know about coffee you have to be from Roma or Milano or anywhere in Italy. In Medellin nobody is using Italian coffee and therefore the coffee anywhere is more like lemon juice than coffee. In addition, nobbody knows how to treat the milk for a cappuccino. Horrible. I’m not sure whether to laugh or cry… But in any case, I’ve spent a good chunk of time in Italy, drank lots of coffee over there. I’ve drank coffee all over the world, done tastings or cuppings where the beans are grown in countries like Colombia or Costa Rica, and even been to some of the original producing countries like Yemen and the city of Mocha (where that drink got its name). I’m not sure what you mean by Italian coffee, since no coffee is grown there, and they primarily import from Brazil and Vietnam which both specialize in producing cheap, low-quality Robusta beans. In addition, you shouldn’t be adding milk to good coffee. That’s like adding Coca-Cola to a top shelf whisky. That’s a great memory! And a great coffee shop! Thanks for the list. The last time I was in Medellin, I visited a pretty bad coffee shop. It of course wasn’t among the ones you’ve listed. I’ll be sure to pull out this list the next time I visit. Definitely been to a few bad ones as well, thankfully things are on the upswing in Medellin though when it comes to coffee! 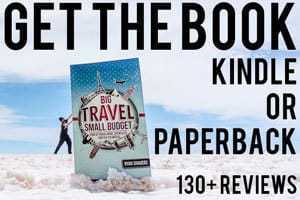 Super stoked to see this guide! 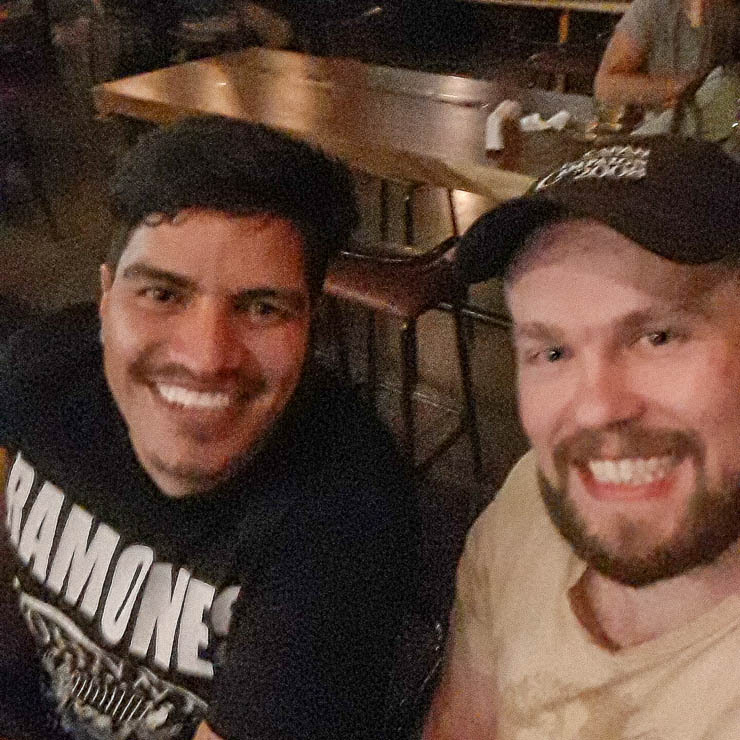 Now I just need to make it back to Medellin 🙂 Thanks for great tips! I’m sure a lot has changed since the last time you were here, things are always changing up here! Just curious …. we lived in Amaga for a few years ( over 30 years ago) and when we came into Medellin by bus we discovered a coffee roaster just by following the amazing aroma when we got off the bus at the Post Office. It was called Don Juan and the coffee was beyond excellent. We used to stock up on the fresh roasted beans and head back to Amaga. I just wondered if they were still in business. Hey Jane! Thanks for the tip… I’m not familiar with Don Juan coffee… I will have to keep an eye out for it or ask around. Do you know if it was a chain with multiple places, or just that one location by the terminal?